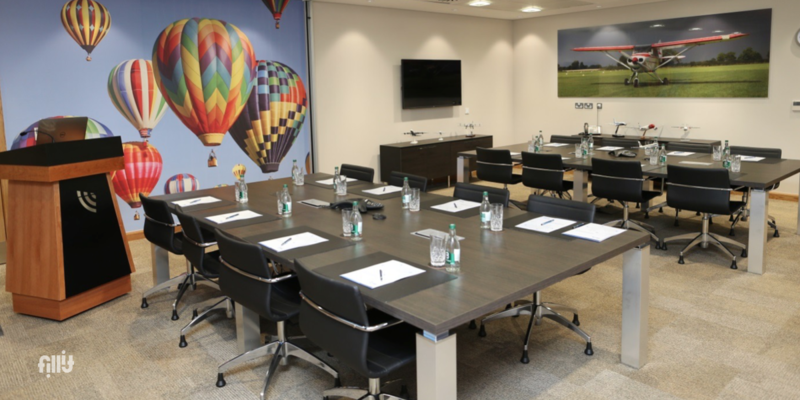 Only a stone’s throw from Trinity College, O’Connell Street and the IFSC, the Irish Aviation Authority Conference Centre offers meeting room facilities and professional business services that are second to none. Our prestigious historic building offers a unique venue to host your meetings, conferences and briefings. With a team of dedicated professionals, state-of-the-art equipment and various catering options, we will ensure your business event is a success. The Lambay rooms hold a maximum of 20 people. There is also a partition available which can divide the room into two smaller boardrooms of 10 people. The room has a podium with microphone flipchart, an LCD Projector and LCD screen. The Conference Centre is open Monday to Friday from 8am to 6pm.